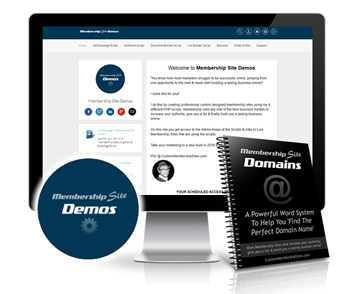 Join my Newsletter to stay informed, get login access to ‘Membership Site Demos’ to Test Drive the Member & Admin Areas of the Scripts, grab the eBook on finding great domains PLUS get bonus advertising on my sites all FREE! *Required Fields – Your privacy is respected and your data will be kept safe. 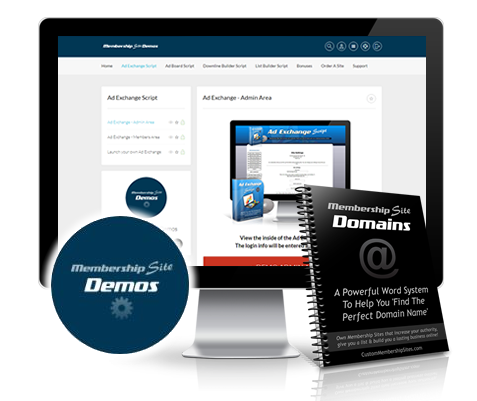 You will receive a series of informative emails regarding the demos, and then newsletter broadcasts from time to time. You can easily unsubscribe at any point.